We spent a good hour lazing in the sun at the summit of North Hill. That zig-zagging climb in the 21°C temperature had certainly taken it out of us. It was time to decide… Would we take the ‘rugged alternate‘ path from here or, lose sight of the sea in favour of a presumed-easier walk along higher ground but still, following the South West Coast Path? 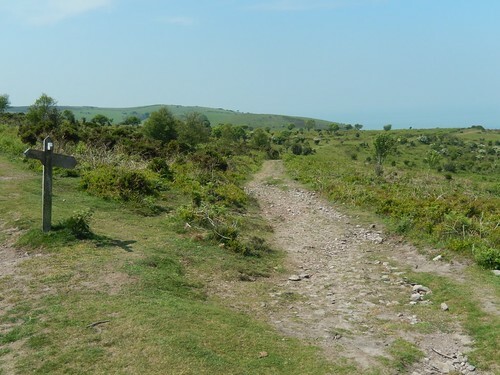 We approached this walk with a slight feeling of sadness, as it will be the penultimate walk in our challenge to walk the Somerset Coast Path in its entirety. Setting off from one of the many free parking bays beside the seafront of Blue Anchor, we were destined for a finish at Porlock Weir. 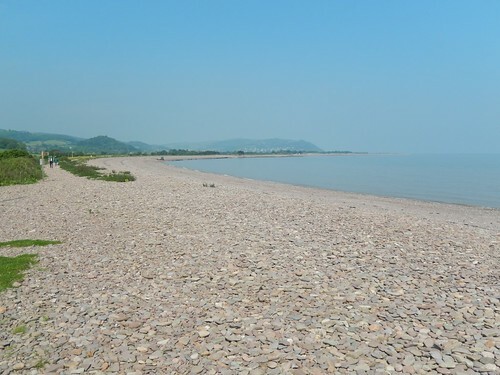 Continuing on from the tail-end of Part 1, where I’d stopped for lunch beside the sea in Minehead; I was now ready to my most local stretch of the South West Coast Path for the very first time. Selworthy, with my parked car, was the ultimate destination. My only other aim from here on was to experience it, without any certainty as to what may or may not lie ahead. 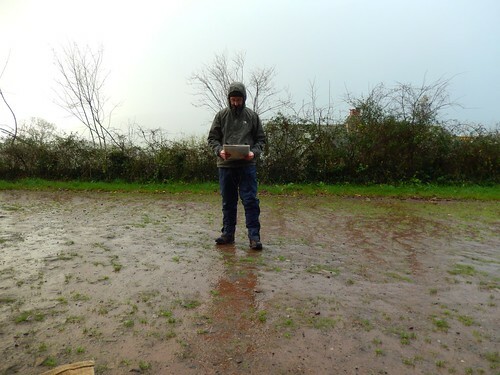 It was one-day before the official Winter Solstice date and, with work otherwise interfering, this was best chance of repeating the feat of a long walk, like a did across the Mendips, one year earlier. I felt inspired to head further south and deeper in to Somerset. Having been to the Quantocks only weeks earlier, I felt compelled to head further west to Selworthy (just past Minehead) and tackle a walk I had intended to do back in June, which involves a few miles of the South West Coast Path. Those of you who follow my Facebook Page may’ve already seen this and the same applies to anyone following me on Twitter or directly on YouTube. I didn’t have time to write about this seven-days ago but I have produced a video from my Winter Solstice walk down in West Somerset. 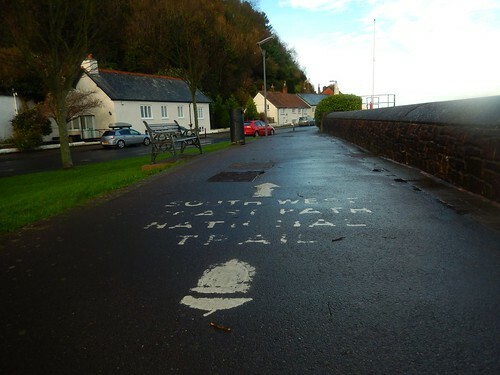 It began in the village, of Selworthy, just west of Minehead and headed east to join the South West Coast Path at its start point, before a westward return, taking in Selworthy Beacon ahead of the end. This is a route I devised for myself back in June, when I went camping in the heart of Exmoor. Due to an even mix of time, energy and weather, I wasn’t able to attempt it after sixteen-miles of the Perambulation challenge. So, I decided to do it last Sunday. This video’s a little less slideshow-ish than my others and is partly inspired by Wiltshire Man and some of his videos. I’ve tried to make it a little more ‘involved’, maybe even engaging and I welcome all feedback in the mean time. I’ll also be completing a written post to complement this walk, in time. Thanks for reading and for watching.